Vera Chapman, née Fogerty, was born near Bournemouth, England, to a wealthy family that immigrated to South Africa in 1914. She returned to England to attend Lady Margaret Hall at Oxford University, where she became one of the first women to officially matriculate in 1920. She married Charles Sydney Chapman, a clergyman, and lived for a year in Lourenço Marques in Portuguese East Africa (now Maputo, Mozambique). 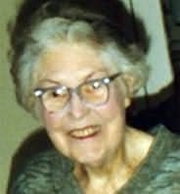 She founded the Tolkien Society of Great Britain, which she served as secretary. She wrote eight novels, the first of which was published in 1975, when she was 77. Her book The King’s Damosel (1976) was made into a 1998 animated musical film called Quest for Camelot. She also was the author of a number of other fiction and nonfiction works on myths and legends. Vera Chapman is currently considered a "single author." If one or more works are by a distinct, homonymous authors, go ahead and split the author. Vera Chapman is composed of 1 name.